Highest BFE Available, Highly Permeable (No Wet Packs), Cost Effective. Manufactured from environmentally friendly cellulose material made from wood pulp, NOT petroleum. 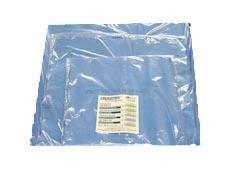 Eliminates skin sensitivity issues associated with oily residues inherent in plastic based wrappers.